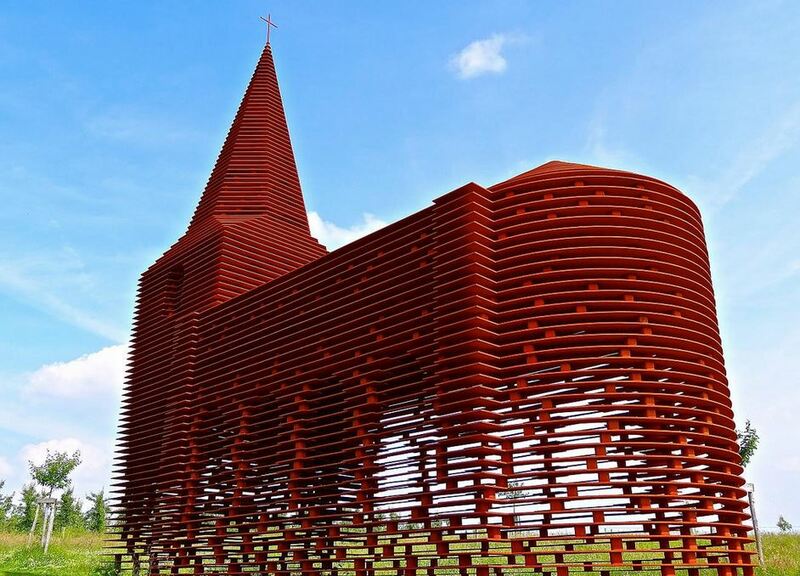 Extraordinary church between art and architecture. 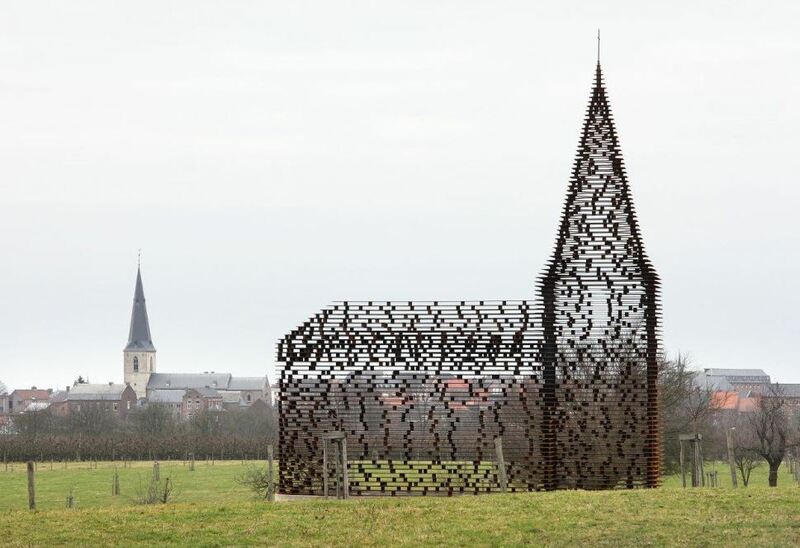 A revolutionary concept of church was designed by a collaboration between Pieterjan Gijs and Arnout Van Vaerenberg. 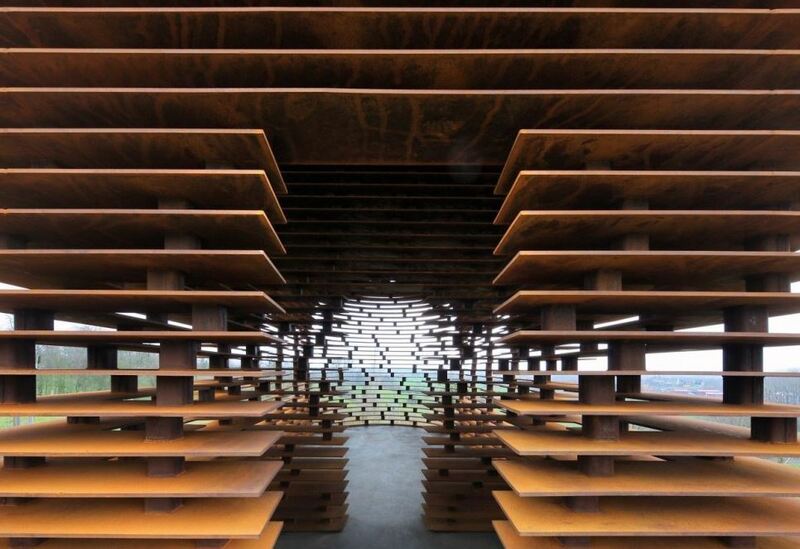 Their creation consists of a see-through church and takes part of a major ambitious long-term art in public spaces. 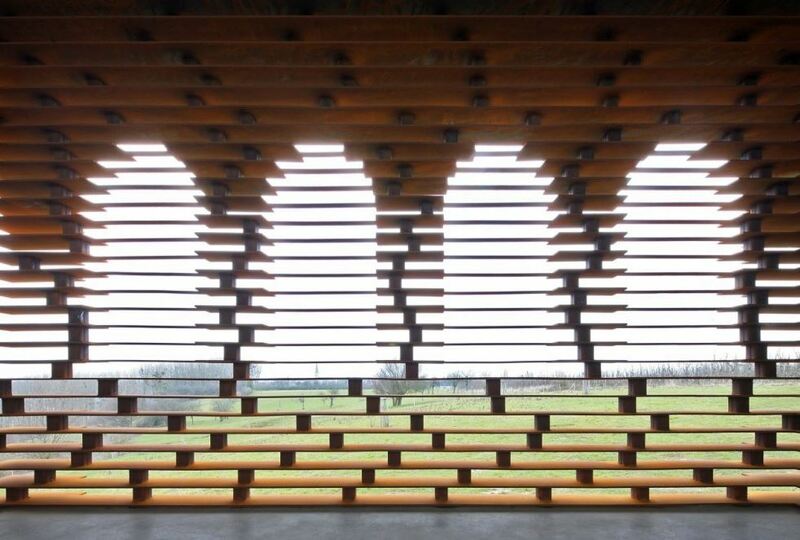 The project will be realized on different locations in the Flemish region of Limburg over the next five years. 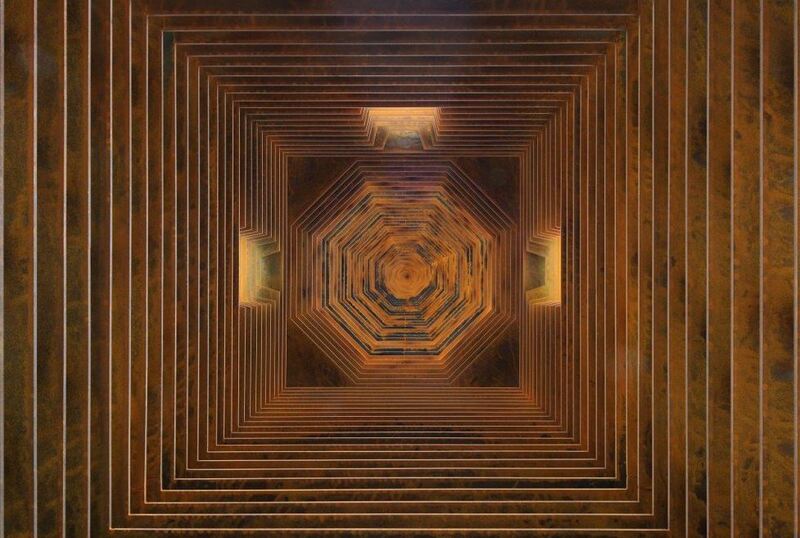 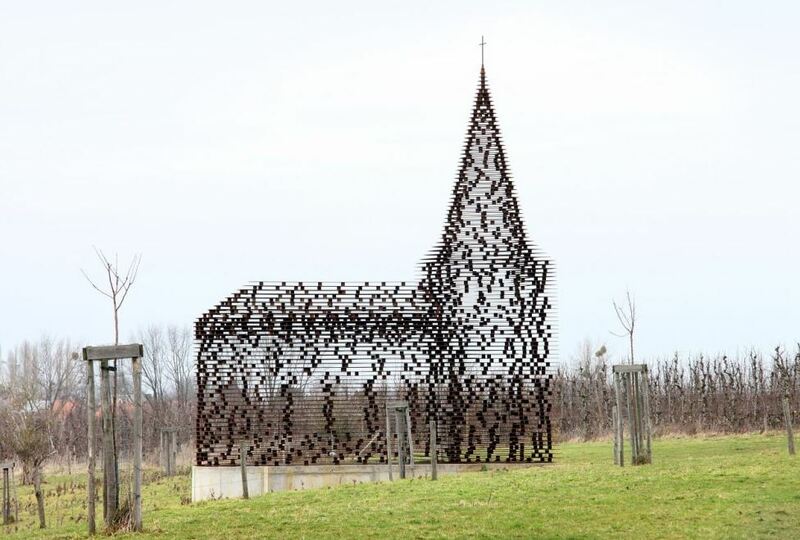 This unusual construction is 10 meter high and is made of 100 layers and 2000 columns of steel, which is perceived in different ways, depending on the viewer position. 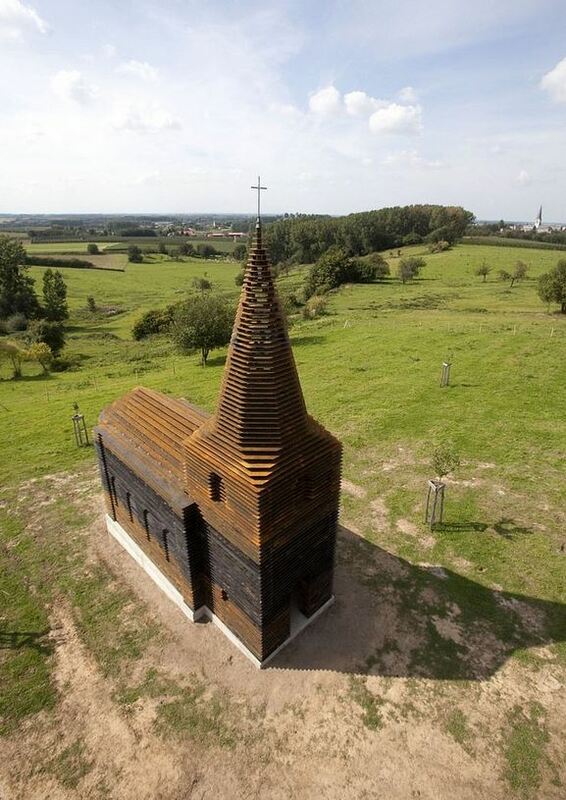 This church can look like a genuine massive building that seems to dissolve partially or entirely in the landscape. 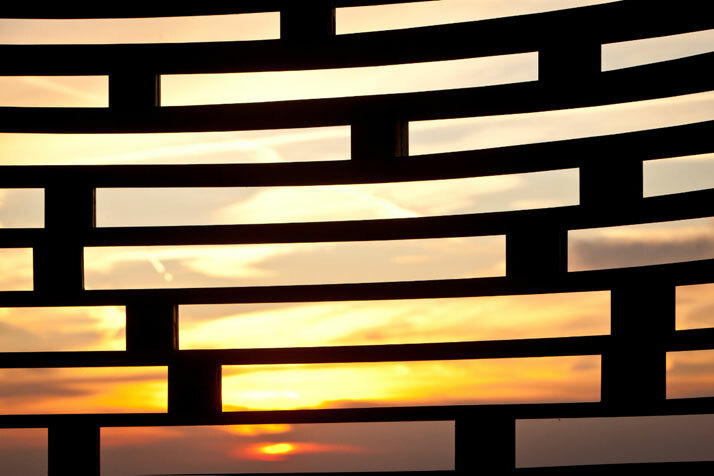 Its name is “ Reading between the lines”.